Explore the marvels, mythology and mystery of Ancient Egypt, including the Pyramids at Giza and the tombs of iconic pharaohs in the Valley of the Kings..
Cairo is a place like no other; a rambling metropolis of sand-beaten colours, and you'll have plenty of time to lose yourself in the colours and aromas of this fascinating city..
Bask in the unique atmosphere of Aswan and experience not only the warmth and charm of Nubian hospitality, but also some delicious traditional cuisine on a homestay..
Set sail down the Nile, one of the world’s most iconic rivers. Cairo's Khan al-Khalili Bazaar is an essential Egyptian experience – lose yourself in the colours and aromas of this fascinating marketplace. Egypt, located in North East Africa, is one of the most popular African nations. 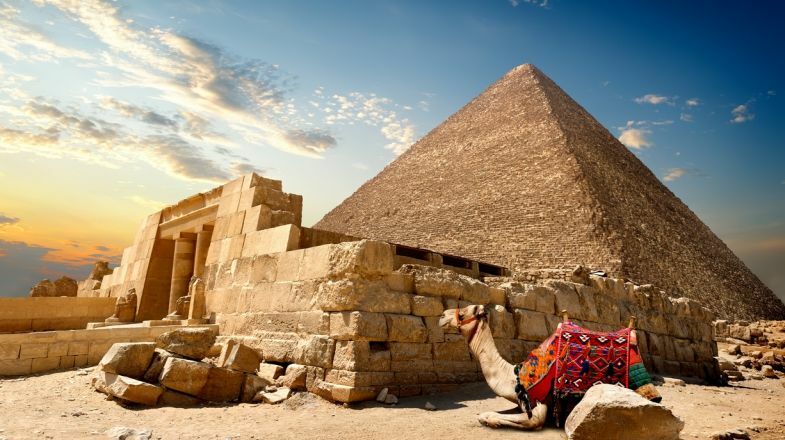 You can marvel at the ancient pyramids of Giza, learn medieval history through the mummies, or visit the plenty churches and monasteries culminating from a rich Jewish and Christian heritage like the Saint Catherine's Monastery. Many people don't know that Egypt also offers great diving opportunities for the traveler interested in aquatic activities. Visit the Egyptian Museum in Cairo, that provides an ideal start when learning about some Egyptian artifacts of antiquity. Cairo in particular offers a wide variety of coffee shops. In fact, going to one is a great way to get acquainted with some of the locals. Check out the Cairo Tower. Why wouldn't you want to eat dinner on the top of the tallest structure in Egypt? Enjoy the nightlife. Egypt has integrated popular current western music surprisingly well into its clubs and bars. After enjoying some Trance, you're liable to hear a few Arabic tunes as well. Go to the Haram District that offers a great variety of outdoor adventures such as horseback rides and tours. Take a tour through the Nile River. Going to Eastern Africa, without at least seeing the longest river in the world, the Nile, would be nothing short of missing out. While on a holiday in Cairo, Egypt's capital and one of its biggest cities, take precautions to keep your belongings safe. Pickpocketing, in particular, is a recurring crime. Best to leave your valuables at the hotel safe. Drink bottled water. Egyptian tap water is not recommended for regular daily consumption. Tourism offices can be the source of plenty of information for inquiring travelers.